I love taking a favorite meal of mine and tweaking it just a bit to create something entirely different. Equally as delicious, just in a different way. That’s what I’ve done here with this recipe. 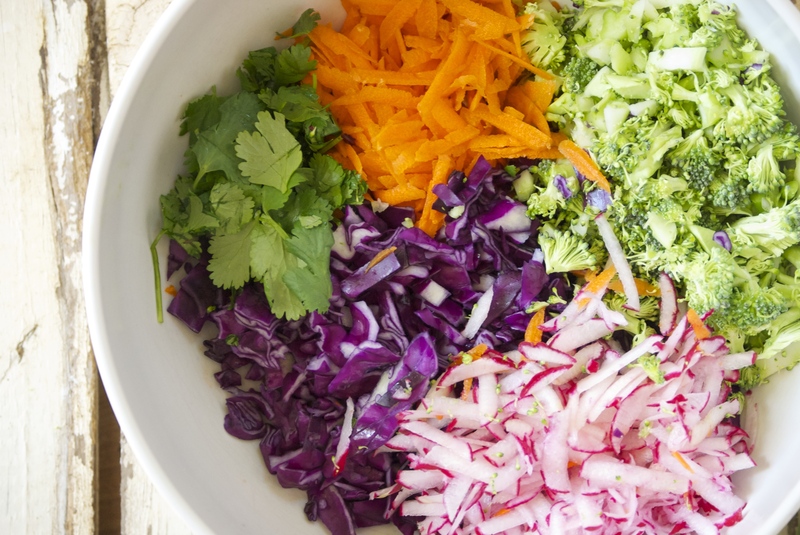 I can’t even count how many times I’ve made this slaw. I basically suggest it to everyone who asks me for a warm-weather meal idea and they end up loving it. It’s one of the high points of being a “food blogger”– finding out that one of your favorites has become a favorite of so many other people. Sometimes, I want something more filling than just slaw, or more to the point– something hearty to chomp on. Adding soba noodles to the mix was the perfect solution here, and I love that it’s still accompanied by a ton of vegetables. 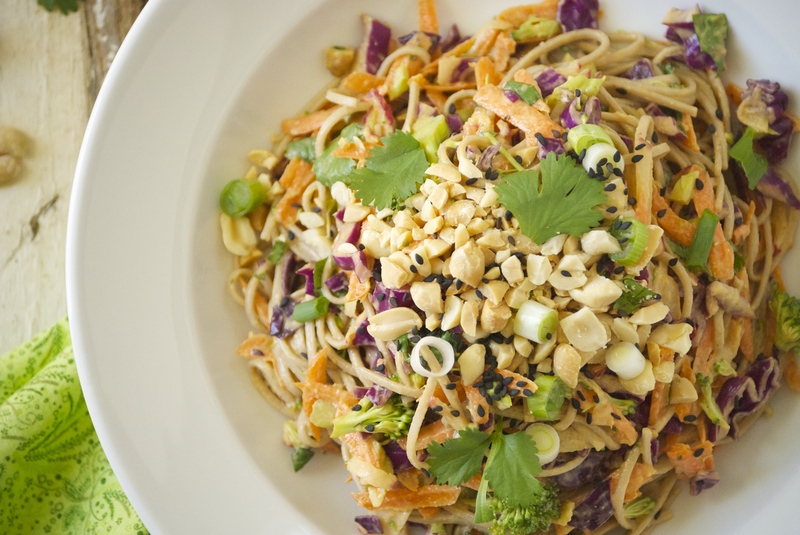 The heat is going to crank up here this week, so peanuty cold soba noodles will be on my menu again. You should make it, too. 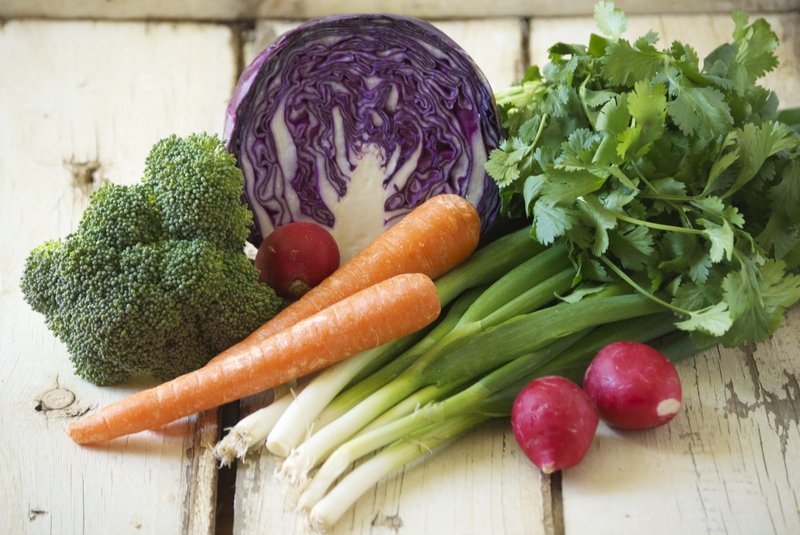 Use whatever vegetables you have on hand, it certainly doesn’t have to be this exact combination. 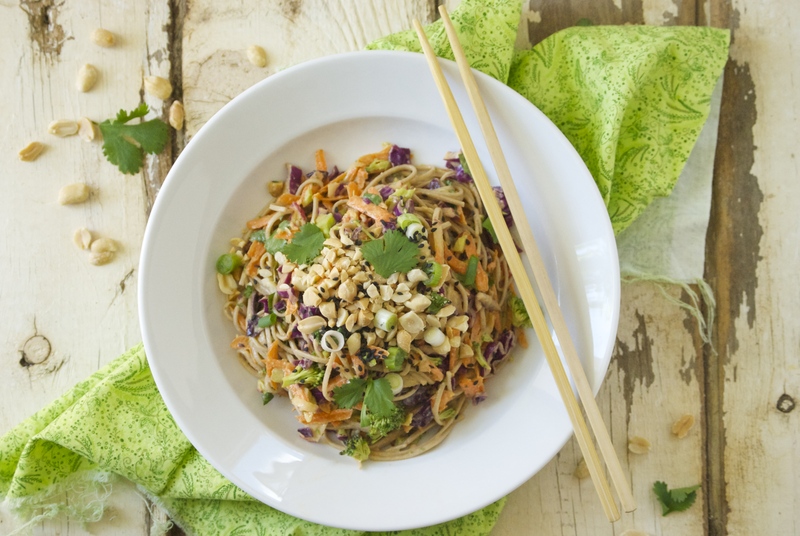 You may find that you need a bit more soy sauce or salt in the sauce when adding soba noodles to the mix. I re-season after it’s been mixed, so not to overdo it with the salt. A squeeze of fresh lime is essential when serving. Hope you enjoy! And stay cool. 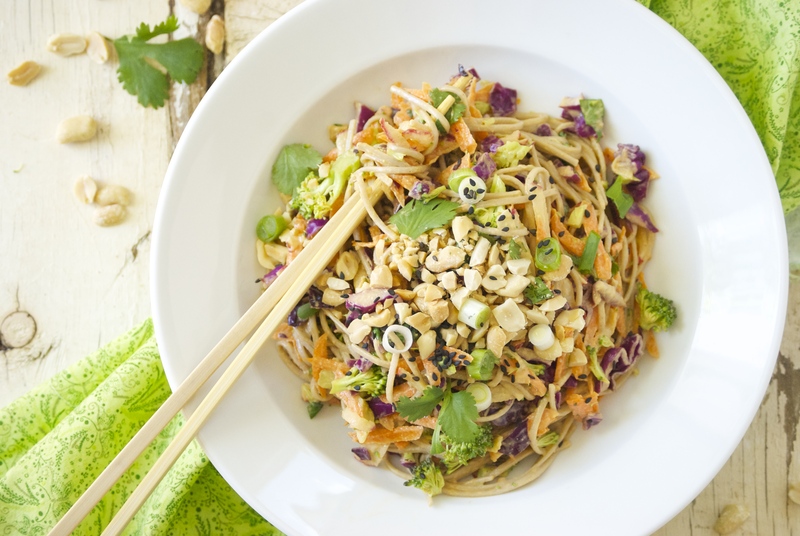 Follow the directions to make the Healthy Asian Peanut Slaw. Combine the vegetables, sauce, and cold soba noodles together using tongs. Loosen with a bit of cooking water, if need be. Taste. Adjust seasonings, if needed. I often add a bit more soy or salt when adding soba noodles to the mix. 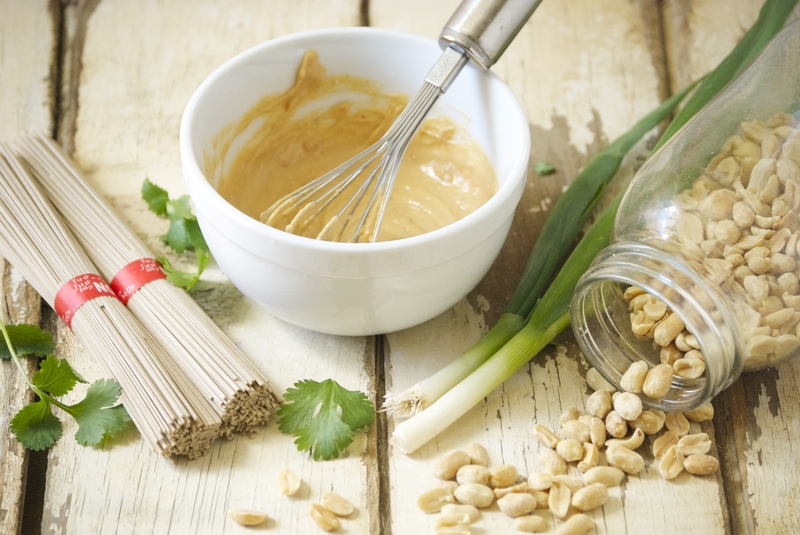 Squeeze lime juice onto the final mixture and top with peanuts, scallions, cilantro, and black sesame seeds. Enjoy!